February | 2012 | Welcome to Strathfield's Most Recommended Agents! 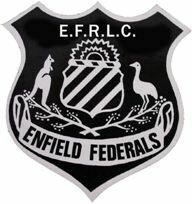 Richard Matthews Real Estate is proud to sponsor the Enfield Federals junior rugby league team, a Club that has produced such greats as Robbie Farah and Hazem El Masri. Here’s to a fantastic 2012 season. Go Feds!